Obstructive sleep apnea is a type of one of the most life threatening sleep disorders, known as sleep apnea. Obstructive sleep apnea (OSA) or obstructive sleep apnea syndrome is characterized by episodes of breathing cessations during sleep due to obstruction in the upper airway. Obstructive sleep apnea causes decrease in oxygen saturation in the blood, which can result in deprivation of oxygen supply to the brain. Obstructive sleep apnea is potentially a life threatening condition that needs immediate medical attention. 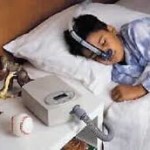 Obstructive sleep apnea does not just affect adults, obstructive sleep apnea can also affect children. Snoring even if the child changes sleeping position. Children who rolls over usually stops snoring. Child gasps for air during sleep. Snoring can cause the child to be awakened. 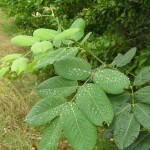 Bed-wetting that is not new or reactivated. Obstructive sleep apnea can cause an increase production of urine. As mentioned earlier, obstructive sleep apnea in children can be a life threatening medical condition that needs immediate medical attention. For children with obstructive sleep apnea that is not diagnosed, they are at higher risks for developing stunted academic and growth developments, behavioral problems, heart problems, obesity, and even hypertension. Personality changes and difficulty in establishing interpersonal relationships with other people can also be an effect of obstructive sleep apnea in children. There are a lot of treatment options for obstructive sleep apnea in children. In order to successfully treat the condition, the doctor must get rid of the obstruction in the upper airway. 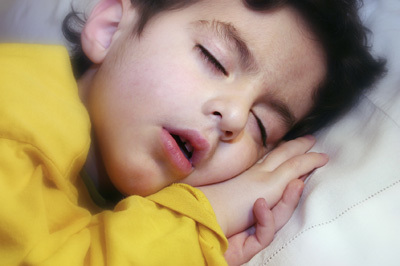 Most of the time, obstructive sleep apnea in children can be successfully treated by removing the tonsils or adenoids. However, there are times that removing the tonsils or adenoids won’t be effective. Continuous positive airway pressure or C-PAP will be used if removal of the tonsils or adenoid would not be successful. In continuous positive airway pressure (CPAP), a machine is used to blow air into the lungs through a nasal mask, to keep the upper airway free from obstruction.